Deferments, discharges, consolidations, payment plans, as well as protections from debt collection. 2/20/19 MSNBC Live with Velshi and Ruhle (5:15 runtime) in which the hosts interview NCLC attorney Joanna Darcus on a U.S. Senate proposal that would mandate automatic payroll withholding for all borrowers of federal student loans. NCLC wrote a policy report opposing the proposal. 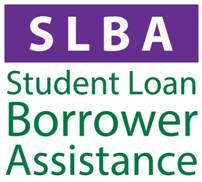 SLBA project provides information about student loan rights and responsibilities for borrowers and advocates.